In this episode we’re to going to listen to Carla who tried Practice Test 2 on the subject of ‘relationships’. Welcome to the IELTS Language Lab, brought to you by Peter Travis from ieltsspeaking.co.uk. The IELTS Language Lab uses the IELTS assessment criteria to examine recordings of students trying IELTS-style Speaking tests. 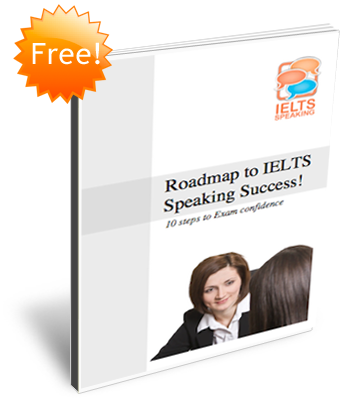 In this episode we’re going to listen to Carla who tried one of the free Part 2 practice tests we’ve published on the ieltsspeaking website. The task was Speaking Practice 2.
and say what is is about them you like so much. The first time you listen decide if Carla answers all parts of the question. Unfortunately there is a rather annoying clicking sound throughout the talk but hopefully this won’t cause you too many problems understanding Carla. Thira is a person who is really close to me … you could actually say she’s my best friend … we tell each other everything we can laugh with each other we can cry with each other it doesn’t matter we are always there for each other and yes she’s just she’s really sweet and I can always laugh with her we are always having fun when we are together and that’s one of the things I find very important … when having a friend … I met Thira I think one to two years ago at school the first time I saw her was … it was really awkward I think because we didn’t know what to say to each other at that time I really thought Thira wouldn’t be a friend of me … of mine yeah it’s really funny how we became friends because at first I really didn’t want to be in contact with her I didn’t want to text with her I didn’t want to do anything I didn’t like her at all but in the summer holidays in 2011 we started talking more and more … we were both getting through not a very nice time and we started to trust each other and we started to tell each other things and in the last … weekend of the holidays I went to her and we talked and we laughed and yes it was really nice because I had a friend … she was my best friend for eight to ten years I think and I don’t speak to her anymore because we are so different now and Thira and me … we are very different as well but we aren’t arguing about those things we just accept each other the way the other is and it’s actually very nice that she’s totally different from me and … I think that is why we can hang out with each other all time and we don’t start arguing about stupid little things what I did with other friend so yeah I really like Thira because she’s just really sweet and I can trust her I can tell her everything I can have fun with her and all those things I find really important in a friendship. Carla gave a clear and interesting description of her friend and answered the question fully. Now listen a second time. How well do you think Carla did using the IELTS assessment criteria? Focus on ONE of the following criteria as you listen. There were noticeable pauses between many of Carla’s statements but these seem to be due to her reflecting on the friendship rather than having difficulty expressing herself. People who have fluency problems will usually pause within clauses as they try to think of a word or structure and this was certainly not the case with Carla’s talk. In order to make the most of the 1-2 minutes Carla could practise speeding up a little, particularly at the beginning of her talks. But this is a comment on her mode of delivery rather than any language issues. Carla’s pronunciation was very clear and listeners should have little trouble understanding her. That’s the end of this lesson. If you enjoy learning advanced level grammar in this way why not sign up for the IELTS Speaking Advanced course? You’ll listen to advance level speakers attempting IELTS-style practice tests and will look at the kind or errors that tend to occur at this level. We offer grammar lessons for many of these problem areas plus exercises to help you master them. You will learn strategies to help you showcase your English and vocabulary and functional language exercises will give you the tools you’ll need to impress the examiner on the big day. 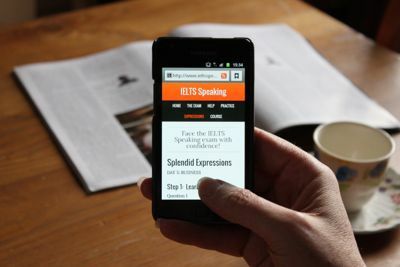 Find out more about the online course on the IELTS speaking website. I am currently teaching Englsih as a second language, I find this page very helpful therefore I would like to say bravo to the people who worked on it. In one page we have a good example, but more importantly we have directions and advice for our (we teacher of engish as second language) teaching practices. It’s very helpful to us.